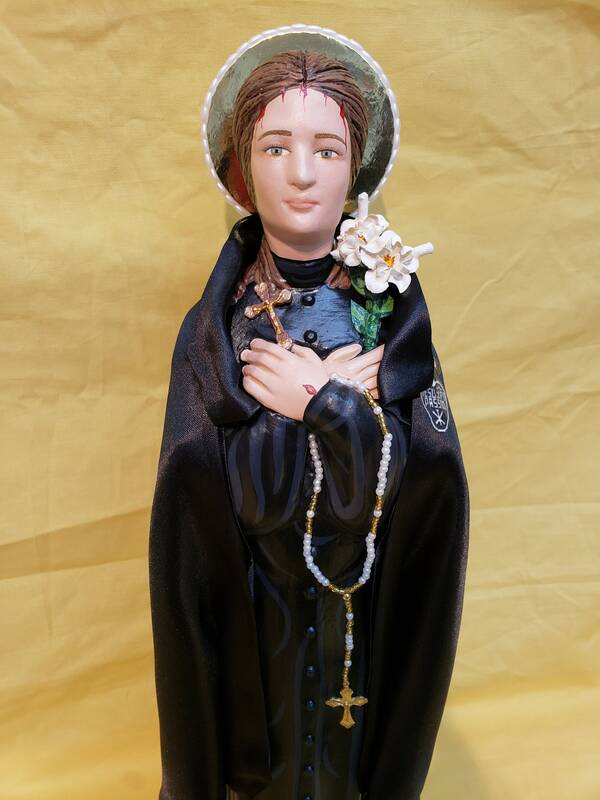 - Patroness of Pharmacists and spine disorders. 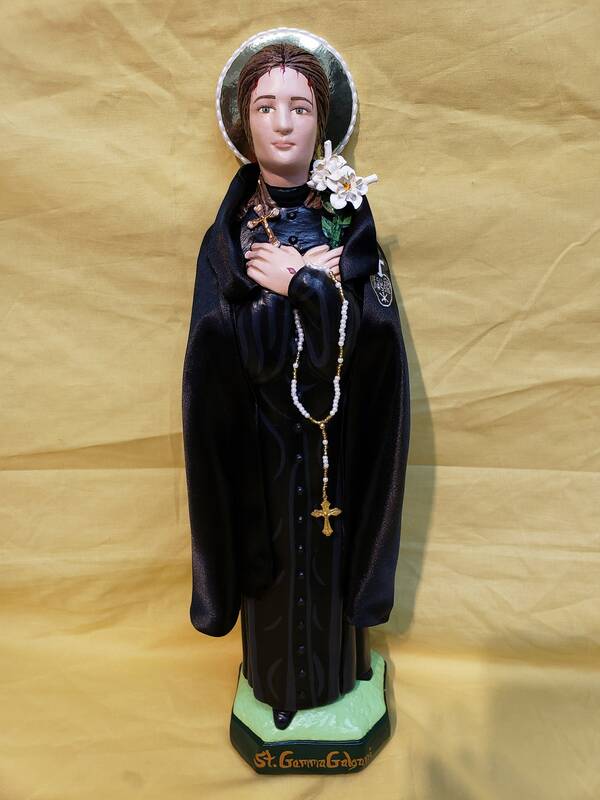 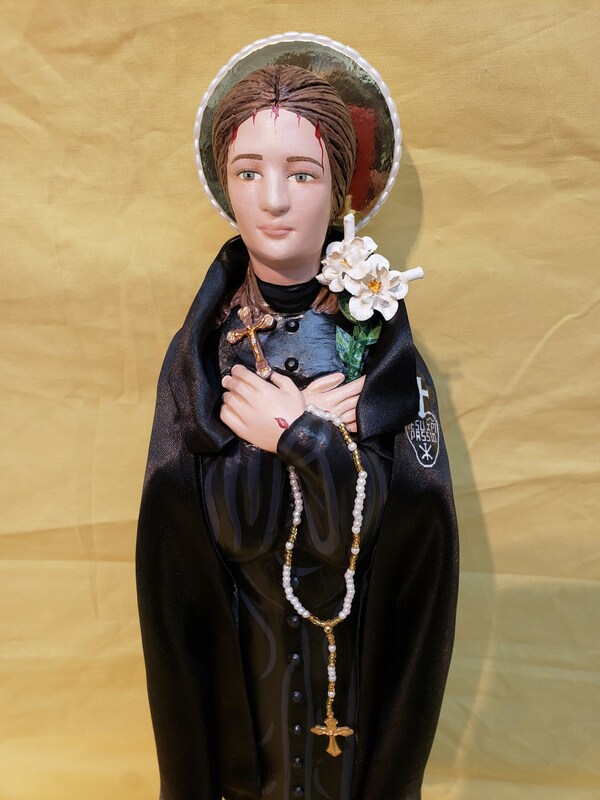 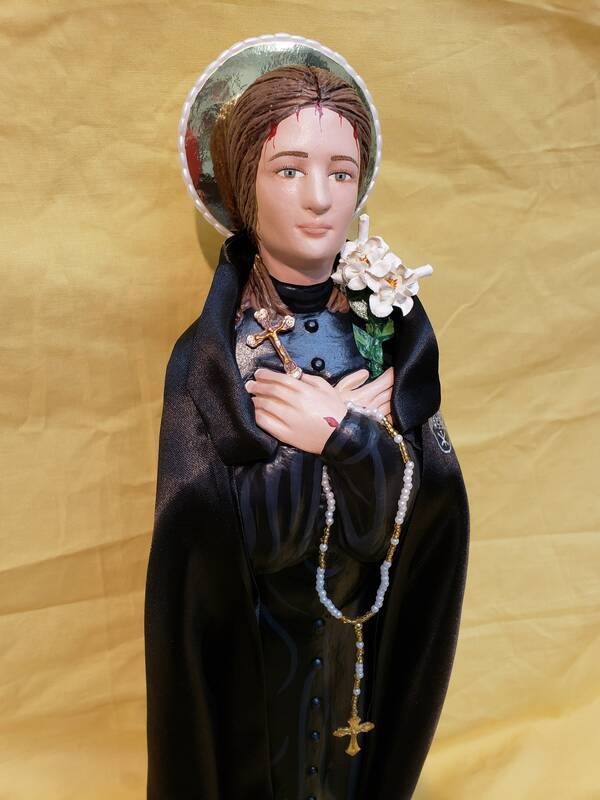 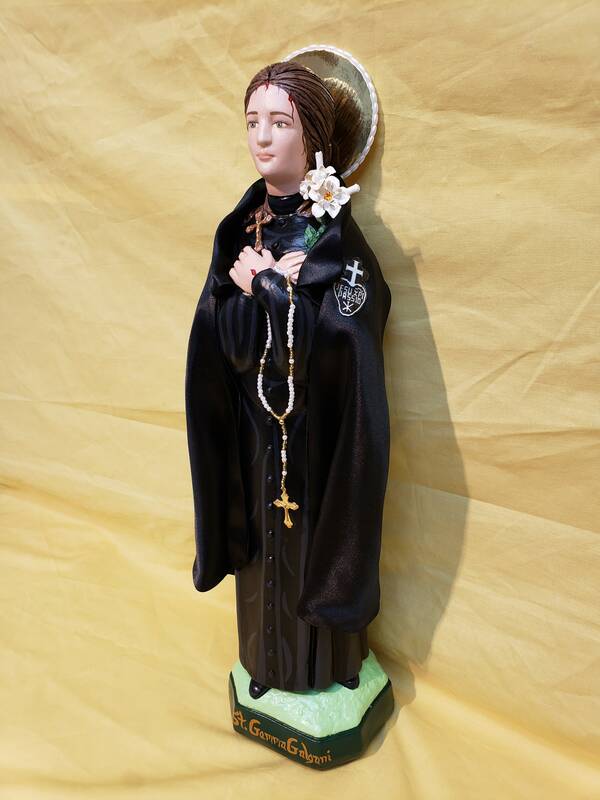 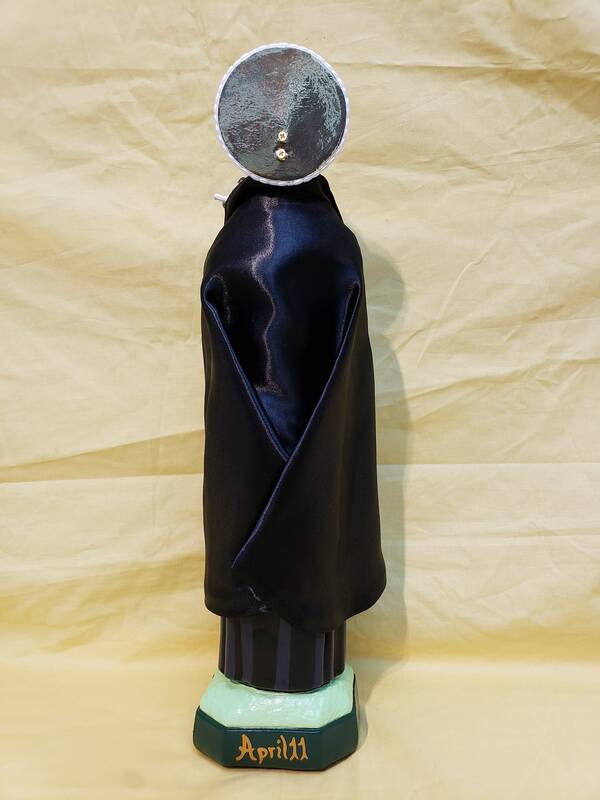 This statue features a magnificent hand painted face in ecstasy and details such as fingernails and eyelashes, hand made black satin material Passionist cape with insignia, hand made rosary hanging around arm, and golden halo. 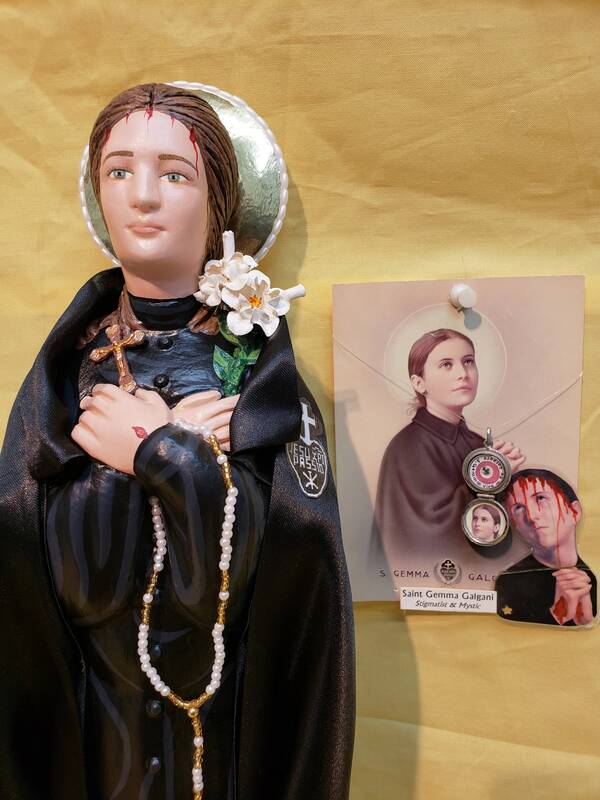 St Gemma is shown with blood from her Crown of Thorns stigmata. 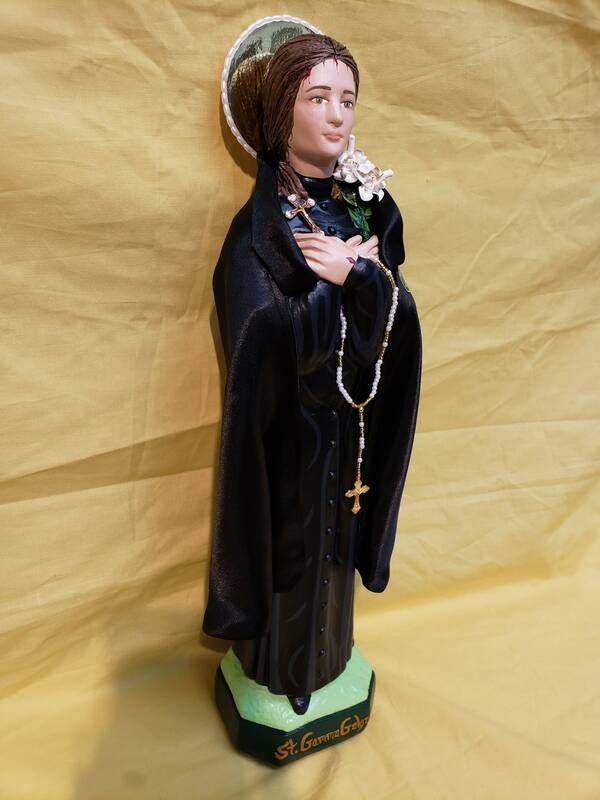 We will also touch your finished statue to a first class relic of St. Gemma.